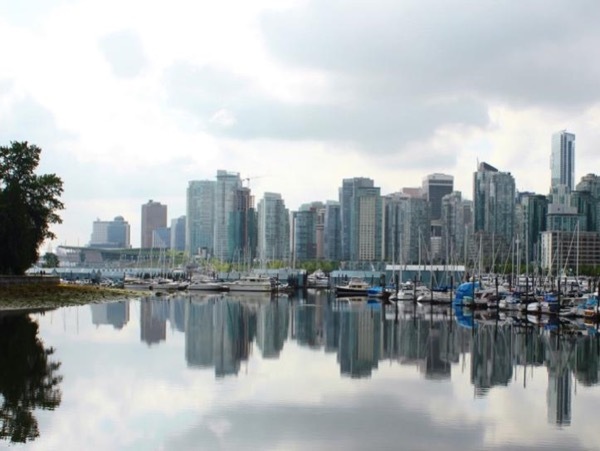 Traveler Reviews for Private Tour in Vancouver, British Columbia, Canada by Tour Guide Lois T.
Lois is AMAZING! Had the best tour ever. We were so lucky to have her give us a tour for 2 days. She went above and beyond and we would highly recommend her!!! TOUR GUIDE RESPONSE: Thank you Diane, Billy, John & Marguerite! Have a fabulous time on your cruise!! Great tour. Great overview of a beautiful city. We thoroughly enjoyed our tour with Lois T. She changed some things up for us because we had done the Hop On, Hop Off the day before and she didn't want to duplicate what we had done. That allowed us to visit the aquarium and other venues that Lois suggested. Vancouver is a beautiful, vibrant city and we look forward to a return visit. Lois was great. Very knowledgeable and informative. She even modified her tour for us so that 2 of our party of 6 could be dropped and their airport for their earlier flight. Lois... was prompt, courteous, helpful, considerate, AND a great tour guide to boot! We spent the day with her seeing everything we wanted to see and more, even enjoying a yummy lunch in Horseshoe Bay.She has a great sense of humor and a sunny personality, plus she's very knowledgeable about the area. After dropping us off, one of our group discovered that she had left something in the car. She quickly called Lois, who returned the item above and beyond the call of duty! Lois did a wonderful tour of Vancouver for my sister and I after our cruise. She met us at the cruise terminal and then after a day tour, dropped us at the hotel we had booked by the airport. The weather was rainy, and Lois was very adaptable and accommodating - so we got to see quite a bit, learned a lot and stayed pretty comfortable. Great guide - would highly recommend. Lois is a fabulous guide! we had a group who only had one day in Vancouver and she gave us the grand tour. Extremely knowledgeable, perfectly laid out itinerary to accommodate the needs of the group, large comfortable vehicle, fabulous driver! Can't find enough adjectives to describe how happy and impressed we were with Lois and Tours by Locals! As a travel agent myself, I will be recommending her to all of the agency's client who visit Vancouver! A great tour of Vancouver. Lois is very knowledgeable and delightful. Flawless! A wonderful day. It is the perfect way to see Vancouver and environs. If you have a PM flight after getting off of a cruise in the morning Lois provides a great and seamless tour and then drops you off at the airport in time for your flight. Outstanding tour. Lois was very knowledgeable and very pleasant to be with for the day. Our group of four had the best tour of Vancouver with Lois. She was there when we disembarked early from our cruise ship and off we went! We went to the Capilano Bridge first which was fabulous and not as crowded in the morning just as Lois had recommended. After this we went on a sight seeing trip of all the beautiful sites of Vancouver. Lois was fun and very informative and it was a pleasure seeing Vancouver with her. We would highly recommend Lois for any private tour and we hope to get back one day! Lois is a fun and engaging tour guide. Our family really enjoyed her tour, including our two teenagers. Her Best of Vacouver tour with a private SUV is a great way to see the many areas of Vancouver in a relaxed way. We would definitely recommend Lois to anyone coming to Vancouver. Excellent tour guide. Customized our trip which was fantastic. Pick up at the cruise terminal and dropped of at the airport hotel. Very knowledgeable and friendly. Would highly recommend. Lois is the most fabulous guide. Her knowledge of the area is so interesting and her fun personality is delightful. She gave us choices of things to do and see. All of her recommendations were spot on! I would recommendation her to anyone. We had a fantastic day with Lois. She is a delightful person and she made our day in Vancouver memorable. She is energetic, funny, thoughtful and flexible. When the weather didn't exactly cooperate with our desire to see Grouse Mountain, she studied the weather to remap our schedule. And we got to see this attraction, and everything else we wanted to see! She so loves being a guide, and it really shows. By the end, I felt like we were old friends. What a brilliant day, Lois was so friendly and an amazing guide, she is obviously passionate about her city. She tailored the tour to suit our requests and was extremely knowledgeable on all aspects. We can't thank her enough for showing us the splendour of Vancouver. Lois T was OUTSTANDING! There were 6 of us in her Van. She picked us up at the cruise ship, delivered our luggage to our hotel, and off we went to the Suspension Bridge, Grosse Mnt, lunch at the top of the mountain in the sun, Lumberjack show, Stanley Park, Gas Town, Yale, Granville Island. There wasn't anything we didn't see and she made sure of it. She loves her City! All 6 of us would highly recommend her ! Had a great tour with Lois. She was very good with the timing and was able to make changes on the go. She knew the city well and we learned lots of interesting things about Vancouver. Lois was a wonderful guide. Although we were all a bit tired, she gave us a through and interesting tour. Her love of Vancouver was obvious. We had an excellent day with Lois. She took us to see everything we wanted to see, was quite knowledgeable and we thoroughly enjoyed our day with her and her beautiful city. I highly recommend Lois! We really enjoyed our informative guide, Lois. The sights and views were terrific and we accomplished much more in 6 hours than we ever could have on our own. TOUR GUIDE RESPONSE: Thank you so much! Lois was a very informative and interesting tour guide. This was our first visit to Vancouver and asked Lois to take us to her favorite places in the city, just like we were visiting friends. She was very flexible and showed us so many beautiful places in Vancouver. She is also so very friendly and fun to be with!!! She made our day in Vancouver very special and it was a great a finish to our Alaskan Cruise. TOUR GUIDE RESPONSE: Thank you so much Stacie! Lois was really great! Extremely knowledgeable, friendly, nice and accommodating. Everything was organized and seamless - very professional. She was willing to show us as much as we wanted. All in all, a very lovely woman and a great tour of beautiful Vancouver. We had a perfect day in Vancouver at the end of our cruise. Lois was waiting at the pier with our name on a sign--so easy! She was the consummate professional,extremely knowledgeable and lots of fun to be with. She was proud of her city showing us all of the neighborhoods, as well as key attractions like Capilano bridge, Granville Island, and Stanley park. She made us feel so special and we would certainly book her again. She had lots of room for luggage and dropped us at the airport in plenty of time. Lois modified the tour based on my needs and, because she knows the city so well, got us into attractions well before the crowds. She is wonderfully friendly and extremely knowledgeable about the city and its history. It was a really fun and interesting day! Great tour just perfect for me. I only had one day available and I asked Lois to show me the sights in Vancouver. One word - incredible - I could not have asked for a more informed or delightful tour guide. I would recommend Lois without hesitation. TOUR GUIDE RESPONSE: Thank you so much Maria! It was such a fun day and loved spending it with you! Hope to see you again in the near future! We thoroughly enjoyed our tour with Lois. She was very knowledgeable of the city and adjusted the tour as requested to accommodate our interests. Lois did another wonderful job for us. This was a return visit and a second tour with her. That's how good she is! There were some rather unpleasant issues that were thrown at her on this tour which were totally no fault of hers. She rose to the challenge in a completely professional way and we could not have been more pleased with the outcome. Great job, Lois! Lois was waiting for us at the ship terminal when we arrived in Vancouver. Lois in a little over 5 hours was able to give us a tour of Stanley park (stopping at the totem poles), The suspension bridge (we spent a couple hours here and had lunch), Prospector Point, and we even walked around the gas light district and had ice cream while watching the steam chimed grandfather clock. Lois is a very experienced tour guide who shared a lot of information about Vancouver and the places we toured. Kudos to Lois! Wonderful tour of Vancouver with Lois. We were able to see all the sights and enjoyed every minute of our all day tour. Lois made sure we had stops for resting as us ladies in our 70s appreciated Lois constantly checking to see if we wanted to rest or go on. Lois was able to give information about the City without being boring.Thank you Lois for making this a highlight of our 2 week Alaska vacation ! Toured Vancouver for six hours on June 15. It's a great city and Lois does an outstanding job presenting it. Our party of six all agreed we made an excellent choice and highly recommend Lois T. John L.
We were met by Lois after departing from the cruise ship. Immediately, we felt like we had known her for a long time. She's so welcoming, courteous and fun ! She reviewed the day's schedule, asking for our input in any adjustments we wished to make to the proposed schedule. As we were very tired from our trip already and not feeling well that day, she adjusted the schedule to meet our needs. She was very knowledgeable about the area and we saw the highlights of Vancouver is the few hours we had. What a wonderful day! Lois did an exceptional job of showing us all the sites in Vancouver! We had a lovely lunch in Horseshoe Bay, were given many opportunities to walk around, and would recommend this adventure to everyone! Lois was an excellent guide - very well-informed, courteous, considerate and good company for the day. A great introduction to a beautiful city. Lois is certainly a top notch guide. What energy she has combined with knowledge and enthusiasm. We worked out a personal schedule since it was just the three of us so my husband and I plus our daughter got to see so much. She has even taken the time to follow up and ask about our travel home. Since Vancouver has so much to offer no doubt we'll look at another tour with Lois when time allows. Lois was a wonderful guide. She was very informative about all the sites we toured in Vancouver BC. We traveled to all the sites we wanted to see and enjoyed them all. We traveled in comfort it was very nice, after a long journey. Thanks Lois!!! We thoroughly enjoyed our tour of Vancouver with Louis. Her tour was one of the best experiences we have had with Tours by Locals. We had limited time in the city, so we wanted to see as much as possible. Lois is knowledgeable, energetic, and just a wonderful person to spend a day with. We wouldn't hesitate to recommend this tour for anyone visiting Vancouver. Lois T. was excellent. She was on time (actually early). Very passionate about the city. Had everything planned really well. She asked us if we had anything special we wanted to see. The day was wonderful. Also she got us to the airport in plenty of time to catch our plane. I would rate the tour and our guide with a 5 out if 5. It could not have been better! This was an excellent tour and Lois was awesome. Wow, wow, wow! This personal sightseeing tour with Lois was just fantastic. Having limited time in town we wanted to maximize our experience and to try and squeeze in as much as possible without compromising on quality. Lois arrived to pick us up early and discussed our interests/wants for the day. Our needs evolved as the day went on and without prompting Lois adding some extra stops that were just awesome. She anticipated our every need. Highly recommended, this really IS the way to tour. Thanks Lois!!! Lois is an ideal choice is you want a flexible, local guide, she accommodated us before departing on a cruise. We had a few hours before our ship left and she packed a lot into the day, she is an ideal choice if you want luxury travel ( her choice of car is ideal). I have no reservation in recommending Lois, she will deliver when it matters and make your time in Vancouver memorable. Lois was the best tour guides you could every have. She showed us the ins and outs of Vancouver. If their was a place we wanted to stop and their was a parking fee, she stopped and paid for the parking. She picked us up at the hotel right on time with water for both of us. And we asked if she would drop us off at a waterfront restaurant to end our tour, and that was no problem. If your in Vancouver please book a tour with Lois and ride in her new "bus". Lois is a Joy to be with. She made my family and I very comfortable. We had a wonderful day in Vancouver - thx so much Lois. I would recommend her to anyone in that area looking for a great tour guide. The Chinese food wasn't bad either!!! Lois was wonderful! Clean, courteous, knowledgeable, safety conscious, pleasant I could go on and on but I think you get the drift. Would definitely recommend Tours by Locals and Lois to everyone. We had a wonderful tour of Vancouver with Lois! We had a wide variety of interests and only one day to see it all following our cruise to Alaska. Lois met our every expectation and structured our day so that we fit everything in. She was knowledgeable and friendly and made our tour so enjoyable! I highly recommend Lois to anyone looking for a tour of Vancouver. We will definitely book with her again when we are next in Vancouver!! Lois was a wonderful tour guide. Friendly, knowledgeable, down to earth and fun. We had a great day visiting the very best of Van, she personalized the tour to my tastes, provided extra equipment to ensure I was kept safe, warm and dry, and went above and beyond to ensure I had the best day possible. Thanks Lois! In short - Lois is great and I would highly recommend her as a local guide. She can build a tour to suit anyone's needs. My son and I came in from Whistler and wanted to see the city and the area. She put together a trip that covered the city's highlights then shifted in the afternoon to outdoor venues. We were dodging the weather and I was really impressed with how she chose locations. We got a lot of exposure to the areas and super views as the clouds moved away. Lois and Vancouver are great! I am so glad I saw your site on Trip Adviser. Lois Was Fabulous. Easy to work with, helpful, fun to be with. Working with her enabled us to do exactly what we wanted. This was our first trip to the North West and did not wanna waste time fumbling around renting a car, getting lost, etc. We will recommend you and Lois for anyone else coming to Vancouver. We will be back next year and shall call upon you again. Undoubtedly the most friendly, knowlegable and accommodative guide we have ever encountered. An experienced professional with attention to details, Lois made us felt really welcomed, relaxed and at ease with both tours, and her abilities to gear the tour to suit our group that includes the eldery and the very young is most helpful. We would most certainly ask for her expert guidence again shall we return to this beautiful city! Lois could not have done for us! She included everything that we requested and then some! But it was the extra touches like the treats at the market or the photos she took and the personal insight into 'her' city that I will always remember. If you get the chance to spend the day with Lois as your tour guide, DO IT! It will be worth it! This was our second tour with Lois T. Her service is exemplary. Our first tour included my wife's 90 year old father and the second our 10 and 6 year old grandkids. She tailored each to their diverse and specific interests. Her knowledge of the area is extensive and fun. We saw what we wanted to and went where we wanted. Her advise was spot on. If we return to Vancouver and are looking for another tour I wouldn't consider any one except Lois. Five stars is not enough for her. Bruce. Thank you Lois, excellent tour, as always! Lois was by far the best tour guide that we've ever had! She was thoughtful, very knowledgeable and went out of her way to make our day special. We felt very welcome, as if we were visiting a friend we'd known for years. We had a limited amount of time in Vancouver, but I don't feel like we missed a thing. My mother-in-law has difficulty hearing and Lois made sure that she was well taken care of. I really can't say enough about how wonderful Lois was. You can't go wrong! There are "musts" when visiting Canada but the #1 must is to take a tour of Vancouver w/Lois! Energetic,informative,great personality! Felt like we were hanging out with a friend for the day. She gave us suggestions and tips before our trip and tailored our tour with us by email so she made sure we saw everything we wanted to when we got here for our 8hr tour. After our tour, she told us to call her anytime for anything while we continued our trip. We love her and you will too!! Naomi and Jeff M.
Lois was stellar. She was both informative and personable and was able to answer every question we had while being flexible and able to accommodate changes we requested so that the tour was as personalized as we could have hoped for. We couldn't have made such great memories of Vancouver without her! We are so very appreciative. You will not be disappointed with Lois!